Planetarium film for the education and entertainment of children. Adaptation of the classic tale Pinocchio. DURATION: 21' 00''. Format Suitable for projectors fisheye or spherical mirror ( with software deformation). Type planetarium Mobile or fixed Planetarium. FullDome film suitable for schools, museums or other children's spaces. 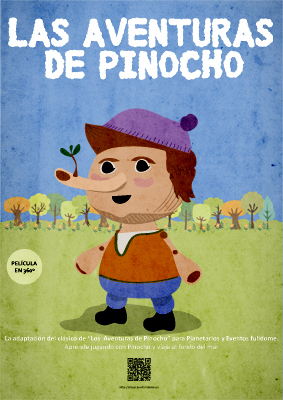 Adaptation of the classic "The Adventures of Pinocchio". Children's film. Following the basic structure of the story , make a film of education, where children can check the course content and become familiar with new concepts. Content summary: the seasons, the North Star , the cardinal points, constellations and even a tour of the seabed. The story is fun, interactive and dynamic. Children´s Digital Planetarium? Increasingly, schools or associations of parents choose this school activity. Students enter a dome where a children's movie making experience adaptada a real adventure, fun and educational projects. © Alejandro Duran Mediavilla . All rights reserved. Spherical Mirror Projectors: If your projector is a spherical mirror, you may be interested to know the WARP players, suitable for Mac and Windows, this video player accepts the file formats: .mov and others. What would you get with these video players? with this software I would adapt the video in Fisheye (fulldome video) to a standard spherical mirror in real time. The software has a cost stipulated by the developer and is independent of our services in the supply of licenses of films for children's planetariums. In these links you can download our generated demos for spherical mirror projector (standard 16: 9) (standard 3:4). Fisheye Projectors: If your projector is Fisheye does not need deformation software, our movies are in Fisheye. In these links you can download our demos in fisheye (part1-Spanish) (part2-english). Use Licenses: Read the conditions of use of our films (download). This document must be signed by both parties. You must respect the conditions stated in the document at all times. Trailers and Posters: To have our trailers, you can obtain the insertion code in our Vimeo channel. And in this other link you will download all our posters (download). You can print it as big as you want. What is a Planetarium? A digital mobile Planetarium or digital fixed Planetarium (museum), is a new way of looking at the sky, a tool for scientific dissemination and dissemination of astronomy. Also, a planetarium is very useful to show any kind of didactic or leisure content. A planetarium shows an audiovisual film in 360º introducing the viewers in a unique experience. The films for planetarium are a unique and recommended experience for the period of formation of the smallest. Nowadays a planetarium can be present in any event in museums, exhibitions, private parties, (children's celebrations, birthdays, company events), chill out sessions, concerts, theater, scientific animation projects, thematic fairs or product promotion. A planetarium is constituted by five fundamental parts: Dome for planetarium, digital projector for planetarium (fisheye or spherical mirror), content or film for planetariums (fulldome films), audio or sound system for planetarium and the stands or public area. Purchase process: Once the film payment is made, you will receive the use license model, you must sign it and send it to us. Within a period of 15/30 days max. You will receive the film and the license signed by us. You must make the payment via paypal through the web. Thanks to Arcashop.es for their support and collaboration. 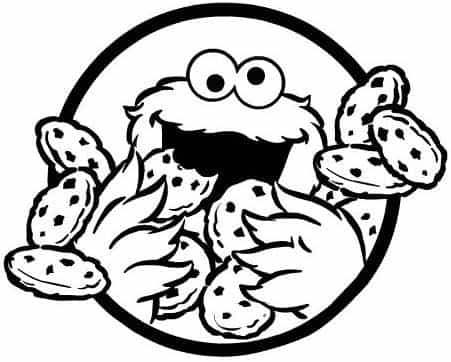 According to the " Cookies law " (Article 22.2 of Law 34/2002 ) we inform you that we use own and third party cookies to offer a better experience and service. If you continue browsing, we consider that you accept their use.